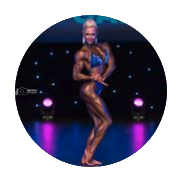 Johanna has been a Bodybuilding coach since 2009. To build natural muscle quickly it takes specific programming and a fearless attitude. The below are Bodybuilding Programmes for each muscle group. Johanna has not only used these on herself but they have been popular with her clients also! Try one if you dare!!! Click for more details or add to cart.